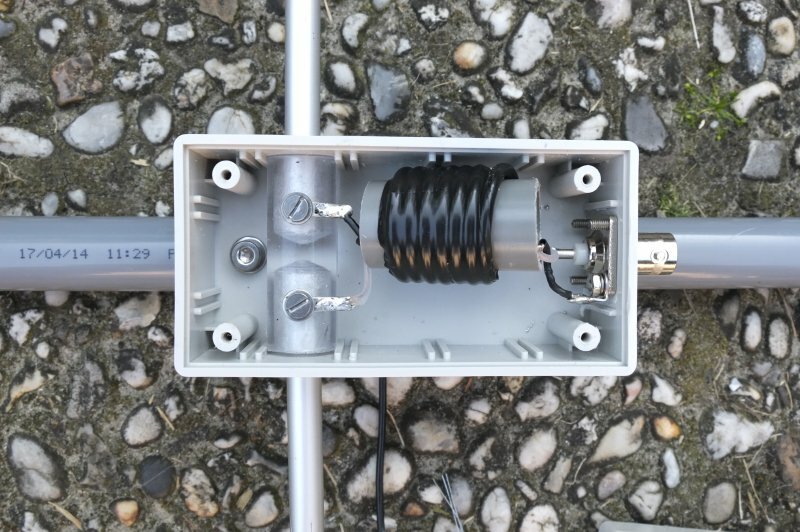 To gain some more experiance in VHF antenna building I build last year two 4 element 28Ohm Yagi as described on the pages of DK7ZB. 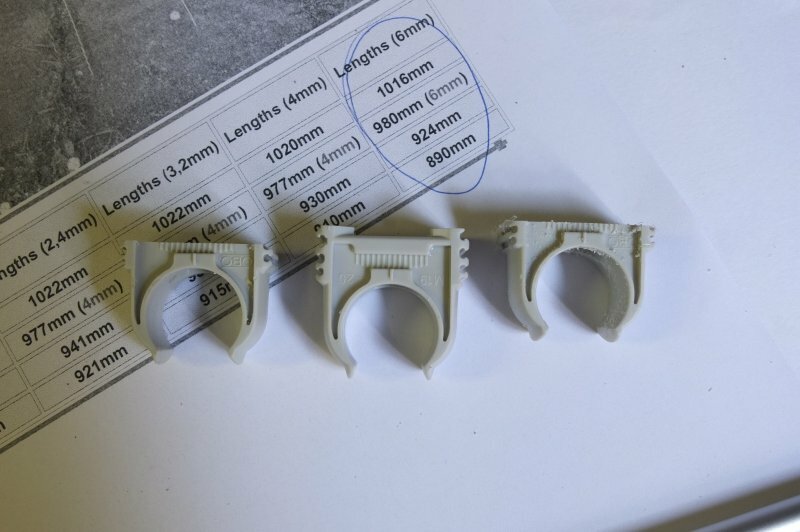 Quite pleased with the result I used them for more then a year when I replaced them with a 9 elm Tona Yagi. 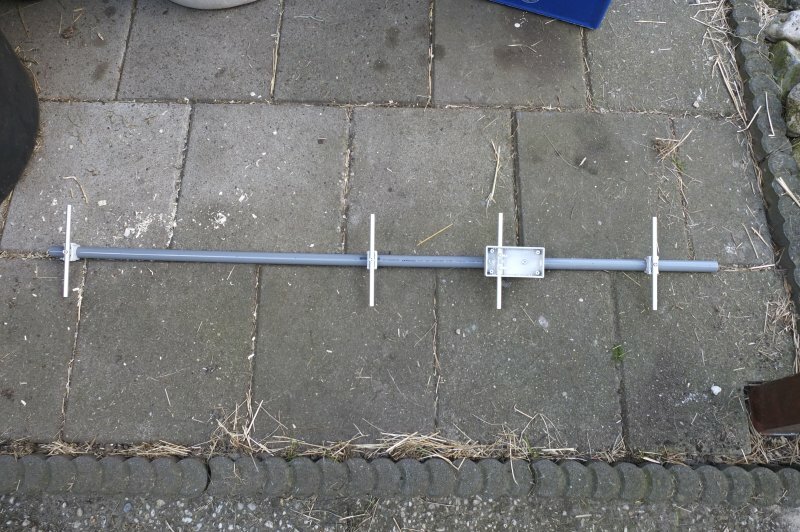 This year I'm more into fieldwork and backpacking, so I wanted to build a compact and especialy lightweight Yagi. 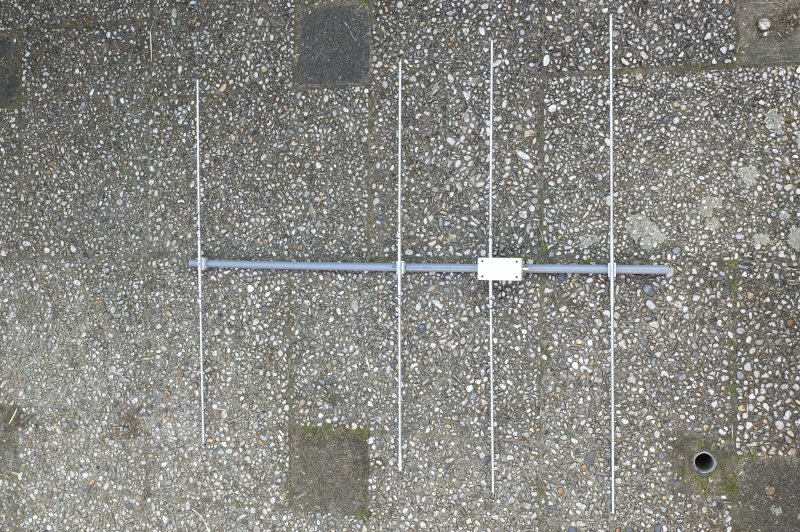 DK7ZB has a good article about PVC yagi's especialy for fieldwork and backpacking (link). 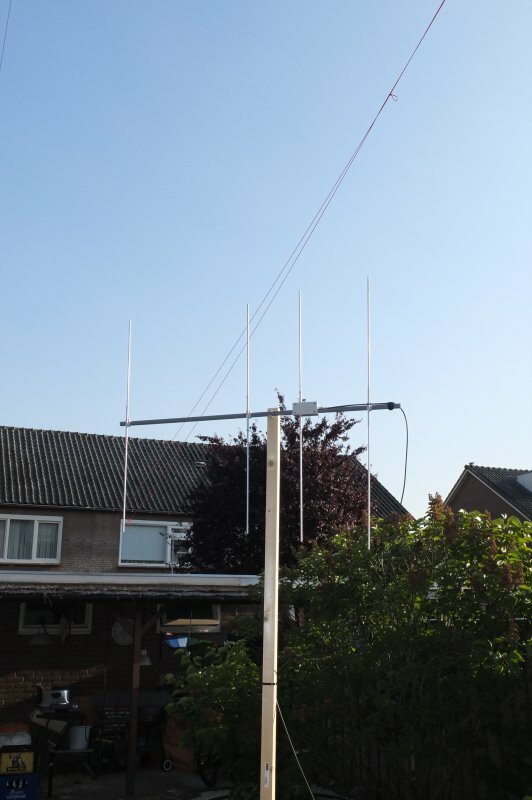 Based on the 4 elm 1m boom 50 Ohm design I build a fieldwork yagi as shown in the pictures below. 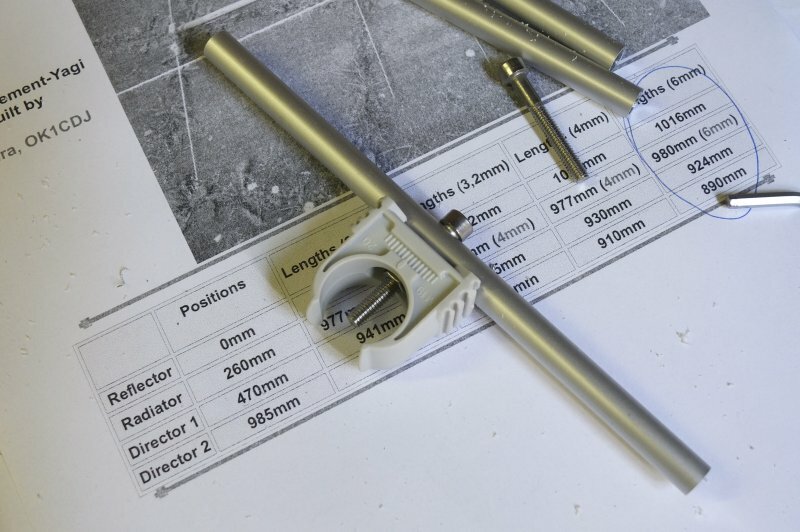 4 x 1 m 6mm aluminium tube which fit in 8mm aluminium rods (making it easy to assemble and take along). I used a lathe to model to plexiglass rod to make a holder for 2 x 7 cm 8 mm tubes. Cutting the top of 2 of the clamps to mount underneed the box. Make 3 tubes with a length of 15 cm of the 8 mm tube. 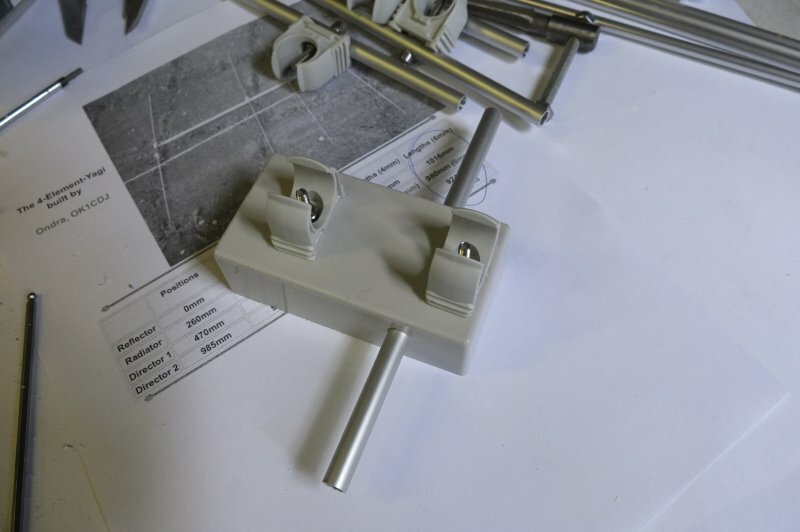 Drill a hole in the center of 4 mm to mount the small tube on one of the clamps. Mouting the 2 special clamps underneed the box. Close up of the choke. aprx 40 cm (shield) around a 19 mm PVC tube. 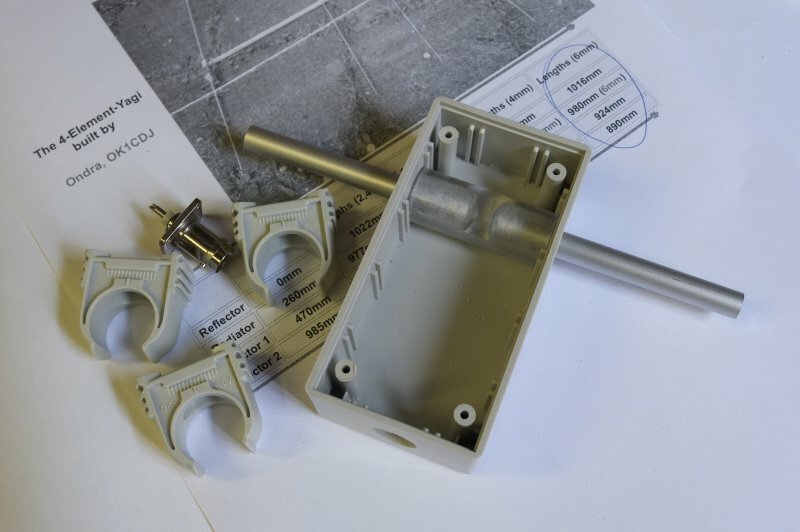 Oh, and also I drilled and made a M2.5 thread in the plexiglass tube holders. 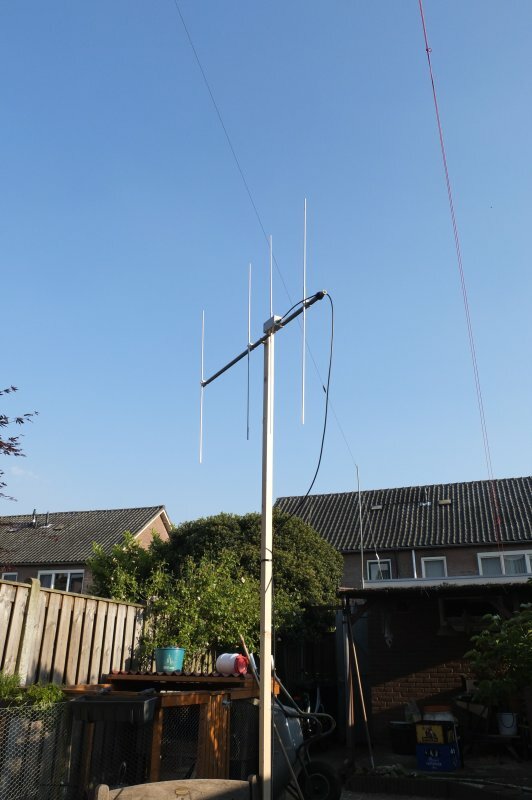 First test : from almost nothing (S0 . . S1) on my FT60e (the backyard isn't the best place to QSO on 2m) with the original antenna to S6 . . S7 signal on the repeater PI3TWE with the setup below.